Renewable Energy Projects Technical Advisor , work base: Hanoi or Danang with frequent travels to project sites in Hoa Binh and Quang Nam provinces. World Vision is a Christian relief and development organisation working to create lasting change in the lives of children, families and communities living in poverty. World Vision serves all people regardless of religion, race, ethnicity or gender. As a child-focused organization, WV’s work focuses on children, ensuring they are protected and their basic needs are met. WVV has a total income of more than USD20,000,000 in FY13 with funding from 12 support countries in Europe, Asia, the Americas and Australia. WVV employs about 450 staff, of which 99.5% are Vietnamese nationals. WV Vietnam has 43 Area Development Programs (ADP). ADP is a 10-15 year community development program that is an integrated approach to community development, emphasizing the process of community participation, ownership and sustainability, while addressing the macro and micro causes of poverty. WVV’s ADPs focus within one administrative district of a province which usually populated by ethnic minority people with very high rates of poverty. 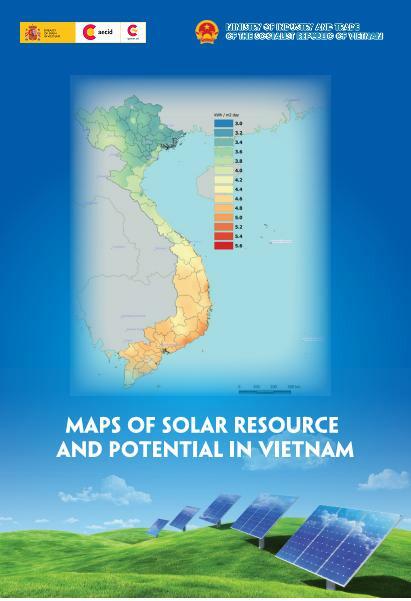 1.Integrated and Sustainable Clean Energy Solution for Vietnam (EEP) Project is a new project supported by WVV. The project will increase the access of marginalized ethnic communities and their schools Tra My and Phuoc Son districts, Quang Nam province to renewable energy and energy-efficient technologies for cooking, lighting and electrical machinery. This will be achieved through picohydro, improved cook stoves for households and biogas for cooking at a school. By delivering the renewable energy to the communities, it is anticipated that it will facilitate economic growth by allowing the introduction of labour saving machines, efficient LED lighting and offer an improved environment by reducing fuel wood use and the consequent deforestation and smoke production. The biogas will reduce the amount of bottled gas consumed at the school and reduce the greenhouse emissions from the human waste. Delivering reliable energy to these communities is a challenge due to the small size and geographic distribution of villages, and diverse topographies. They keep few tethered livestock making them unsuitable for household biogas installations, and other small-scale technologies frequently fail due to an economic or technical inability to maintain and repair installations. 2.Sustainable Business Model to Deliver Renewable Energy to Rural Villages in Vietnam (REEEP) Project is a new project supported by WVV that is expected to create a sustainable business model for using renewable energy and energy efficiency in ethnic communities in Yen Thuy and Lac Son, Hoa Binh, then in other areas in Vietnam. The model will be implemented in the two districts to enable testing and revision to ensure it is sustainable and overcomes challenges of delivering reliable energy to isolated villages with diverse topographies. Energy will be generated primarily through micro hydro where possible or biogas. Distribution of electricity will be through a local micro-grid with community level schools acting as the central point, with households connected from there. This arrangement will enable schools and households to utilize a higher proportion of electricity when they need it most (schools during the day – households in the evening). It will incorporate a user pays system managed by a newly established community-controlled entity along with local electricity supply grid management groups. It will also look to link in energy efficient appliances such as very efficient electric rice cookers and improved wood stoves to broaden the energy benefits of the renewable energy system. - Provide technical oversight for the REEEP project in Yen Thuy and Lac Son districts, Hoa Binh and EEP project in Tra My and Phuoc Son districts, Quang Nam during project implementation. World Vision Vietnam is a Christian humanitarian organization. Applicants having working experience in a similar kind of organization will be an advantage.